Corona lighters have been made since 1933. The IM Corona company has been producing some of the world's best lighters. For over 30 years, Savinelli has exclusively sold only this line of lighters because of it's proven track record of reliability. 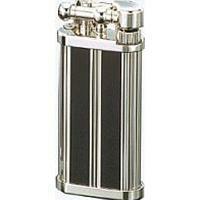 Corona Old Boy Lighters are known as the ultimate Pipe lighter in the world to own. While other companies buy from a host of manufacturers and have their name put on the product, you can rest assured that every IM Corona lighter is made by them. They proudly put their name on every lighter and we proudly offer this highly reliable line to you beginning with 'The World's Best Cigar Lighter', the DOUBLE CORONA.